A jury in the trial of a farmer who denies murdering his alleged love rival will travel tomorrow to the farm where the dead man's body was found. The six men and six women spent about two hours looking at photographs of a run-off tank, slurry tank and various farm buildings where the body of Bobby Ryan, a DJ who went by the name Mr Moonlight, was found in 2013. They were also shown a broken hair clip, springs and cable ties found in the pit where Mr Ryan's body was discovered. Detective Sergeant Larry Stapleton told defence counsel Lorcan Staines that bone fragments and hair were recovered along with those items. Patrick Quirke, 50, of Breanshamore, Co Tipperary has pleaded not guilty to the murder of 52-year-old Bobby Ryan on a date between 3 June 2011 and April 2013. He is on trial at the Central Criminal Court. 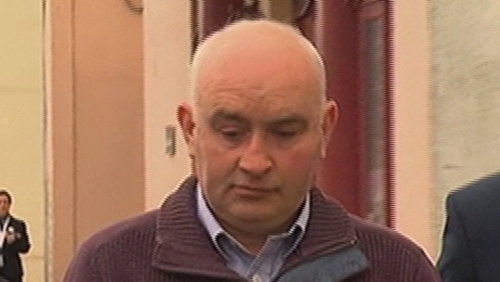 Mr Ryan's body was found in a run-off tank on a farm at Fawnagowan in Tipperary in April 2013. The prosecution alleges that Mr Quirke had previously had a relationship with Mr Ryan's then girlfriend and murdered him so that he could rekindle the love affair. Justice Eileen Creedon told the jury that they will travel to the farm in Tipperary to view the relevant buildings and surrounding land. She told them that they travel not as investigators but as observers and are therefore not to take photographs or carry out their own experiments. She further suggested that they wear wellington boots. In opening the trial this week, prosecuting counsel Michael Bowman said that the prosecution relies on various strands of circumstantial evidence which, when woven together, would prove beyond reasonable doubt that Mr Quirke is guilty of murder.